G-NEWS MAY/2014 – 22 days left till 2014 FIFA World Cup! 23 days left till 2014 FIFA World Cup! Are you ready for it? 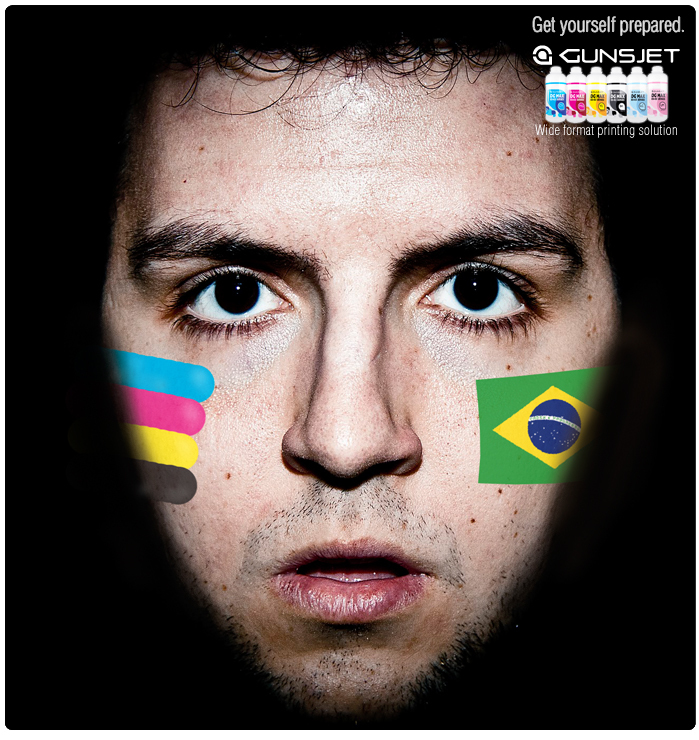 Advertising banners, posters, billboards are everywhere to promote this biggest event in Brazil~ How about yours? Not ready yet? GUNSJET would like to help you cater the rising need for the inks by providing our best ECO-SOLVENT INKS! Our ink is fully compatible with the Roland, Mimaki, Mutoh and Epson printers with DX4/5/6/7 heads. It provides excellent colors, odorless and up to 2 years of outdoor light fastness. Call our sales up for more information!